By Richard B Gaffin. 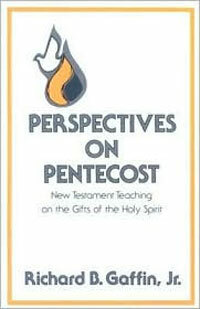 Perspectives on Pentecost dispels the emotionalism and confusion now surrounding the charismatic movement. It is a reliable study for all Bible students and any associated with the charismatic movement or who must deal with friends or family members involved in a tongues-speaking experience.